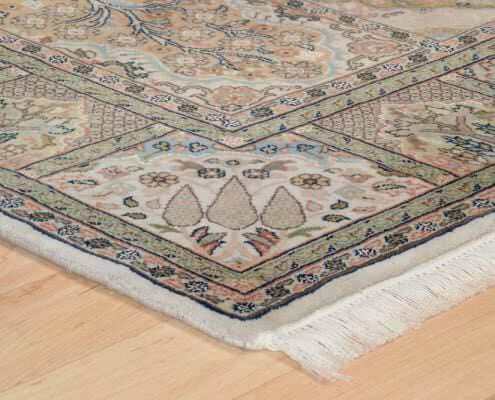 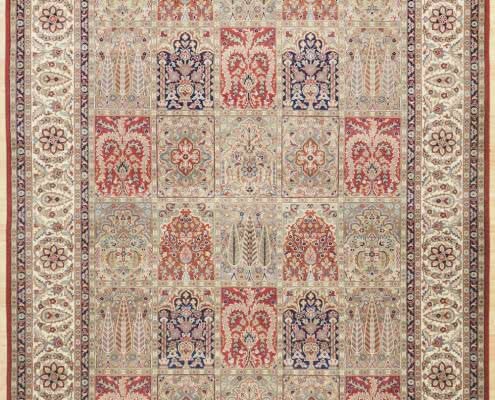 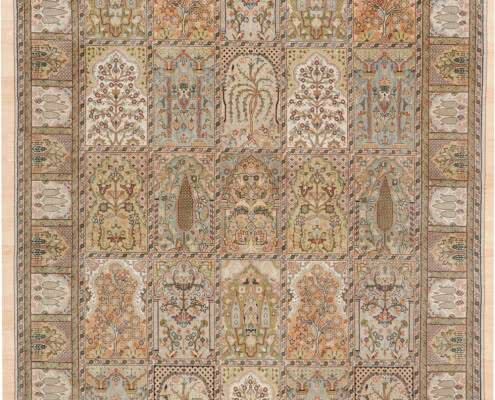 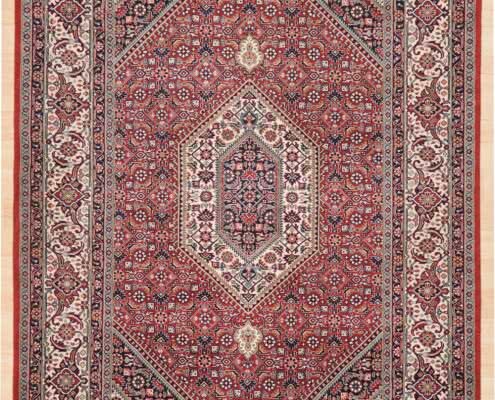 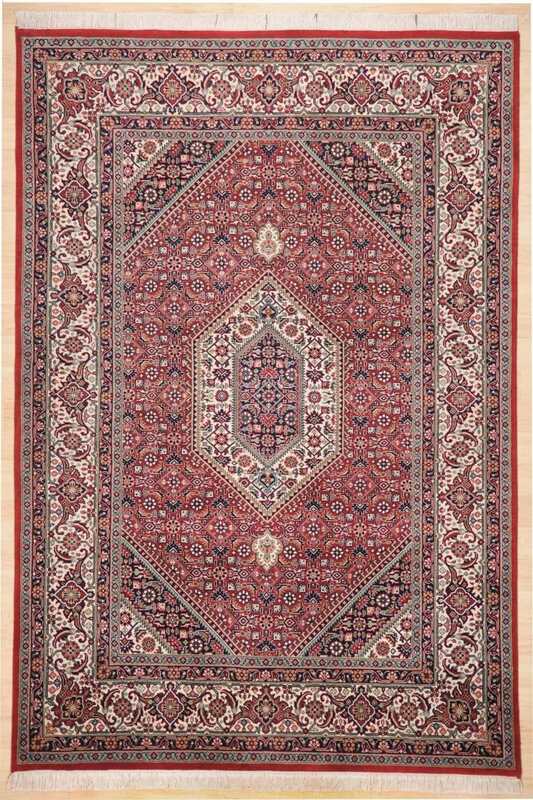 Steppe nomads in Central Persia illustrated their very own idea of paradisiac gardens with shadowy alleys, colorful flower beds and endless rivulets on their carpets. 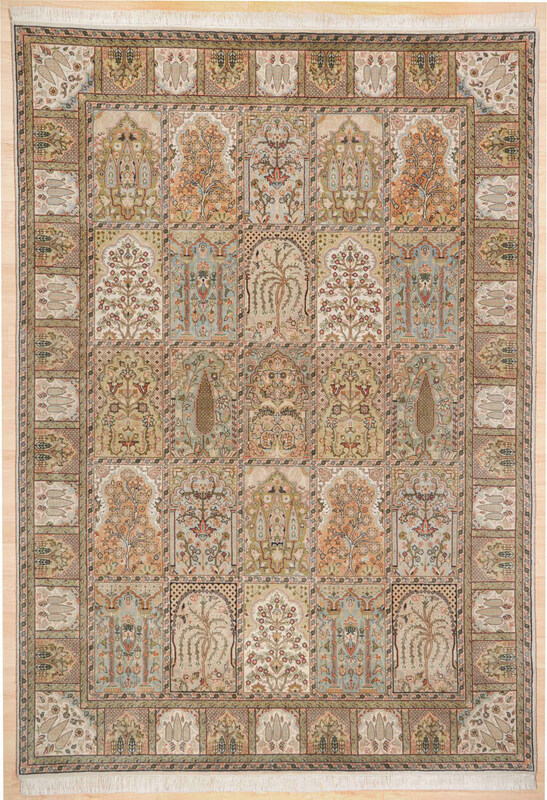 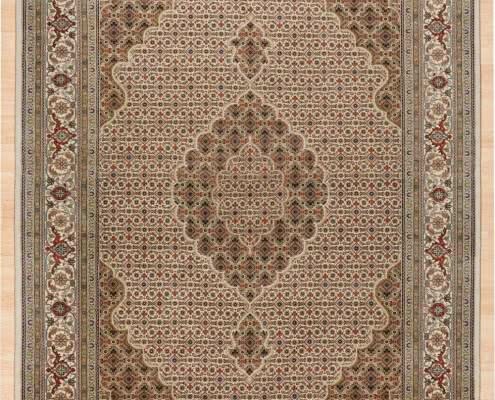 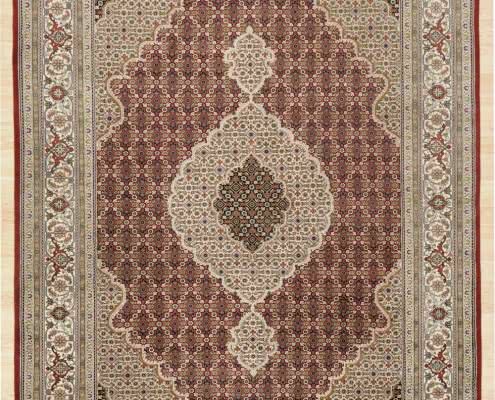 Based on the original from India, we have revived this beautiful design on our Sirsa carpet. 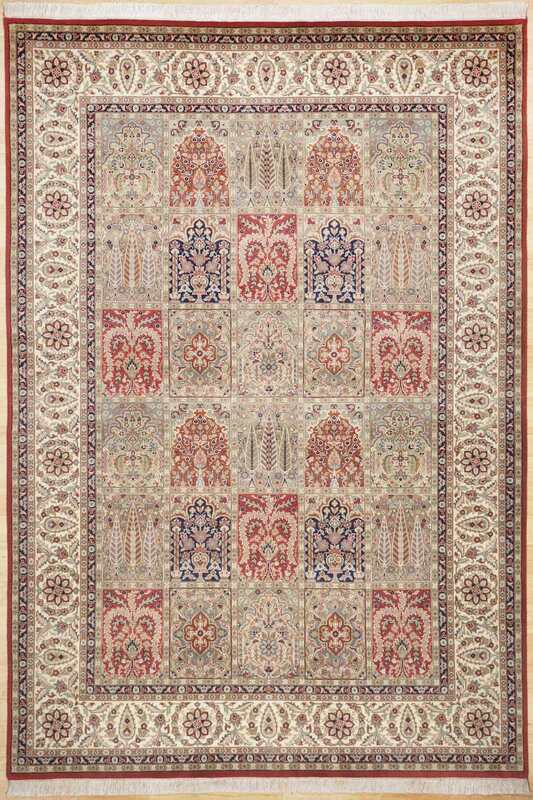 The garden motifs appear very pictorial and plastic owing to very fine new wool. 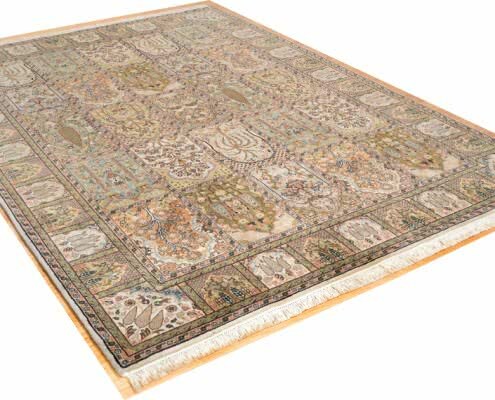 A high knotting density of around 300,000 knots per m² creates a high resolution reproduction of the illustrations. 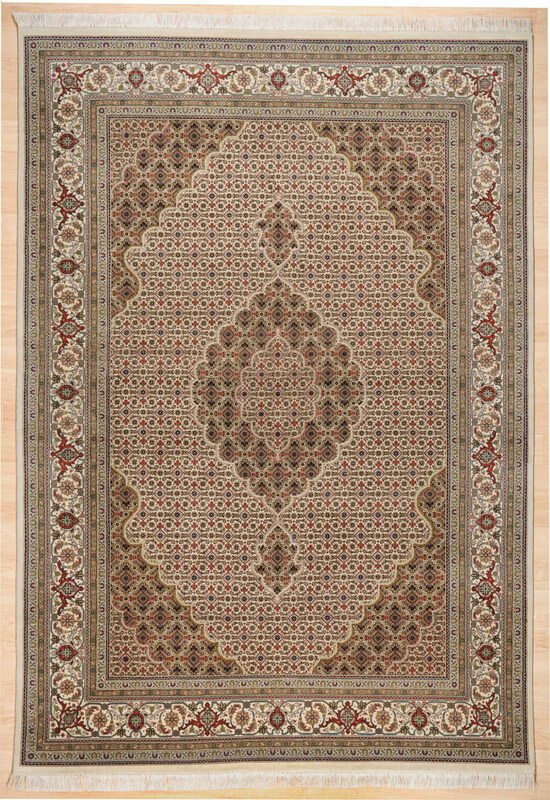 Decorative borders turn this carpet into a real eye-catcher for your home. 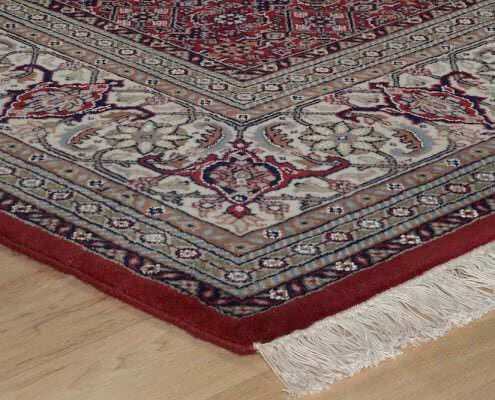 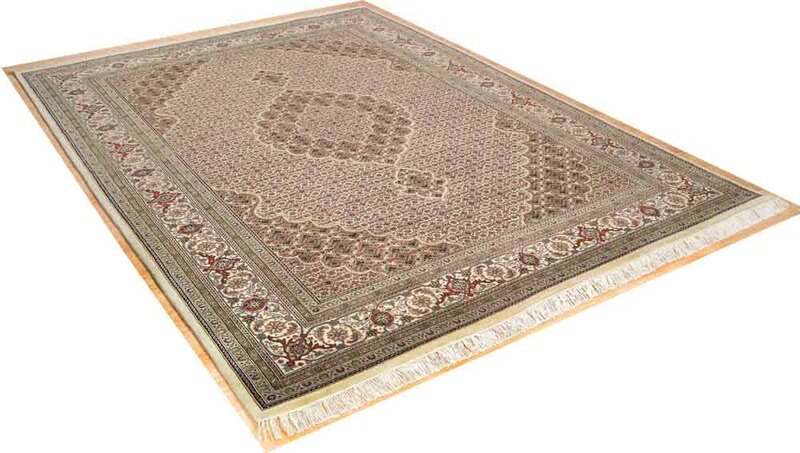 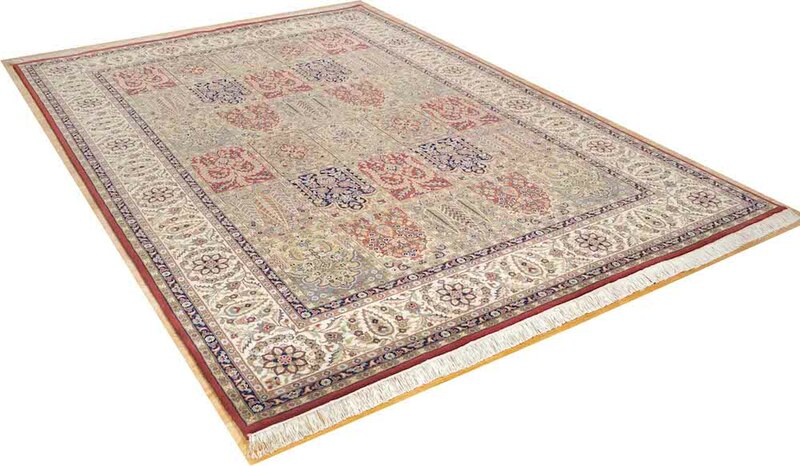 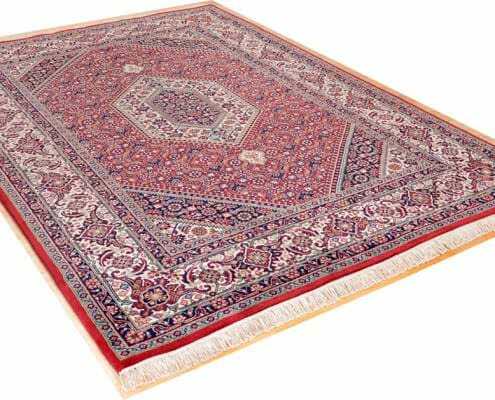 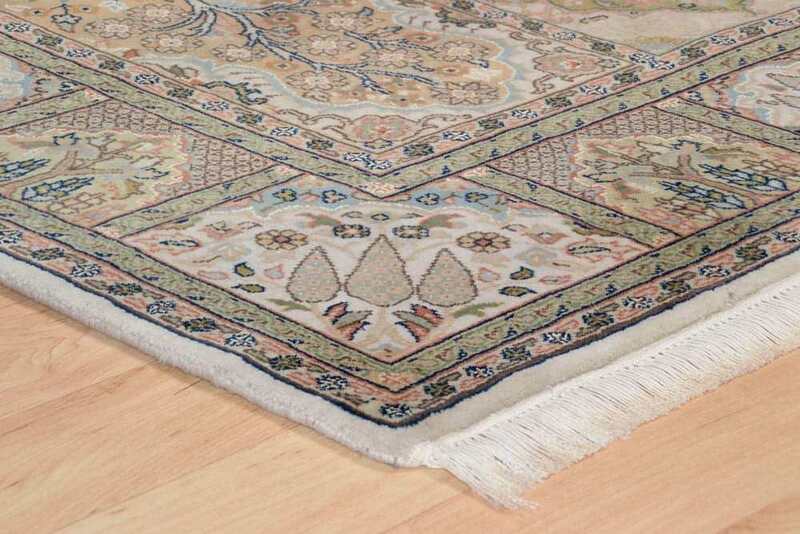 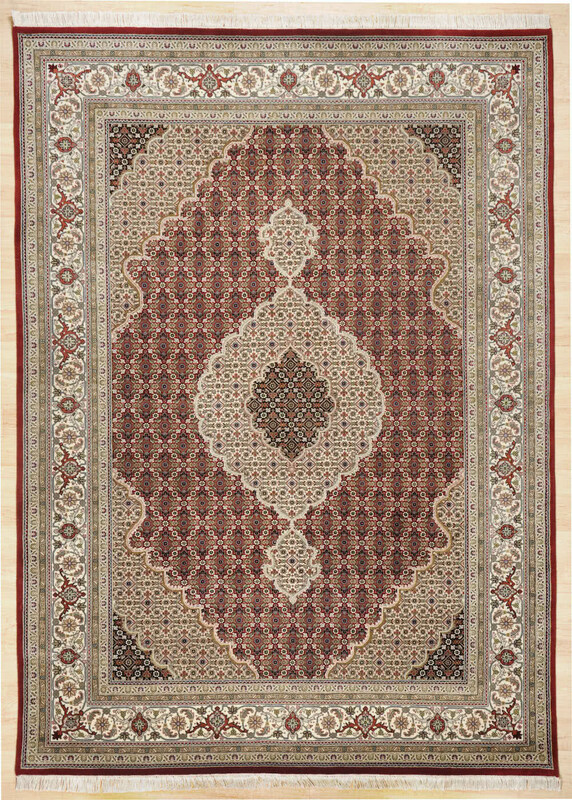 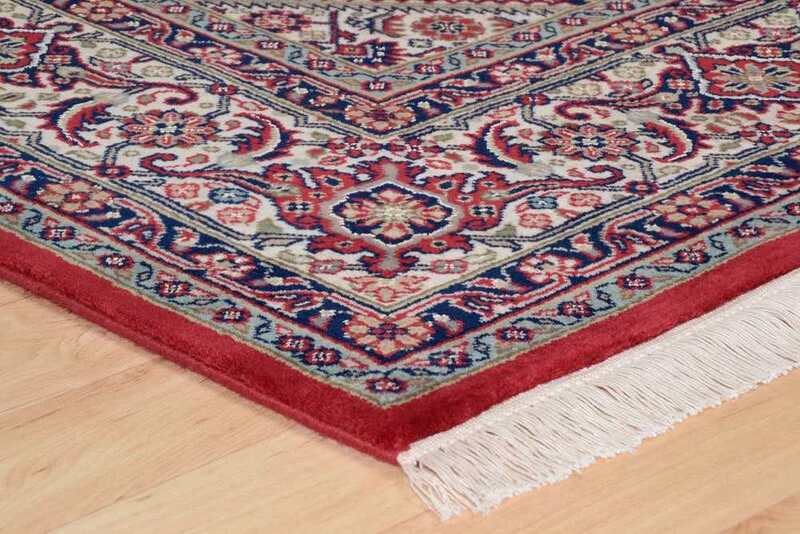 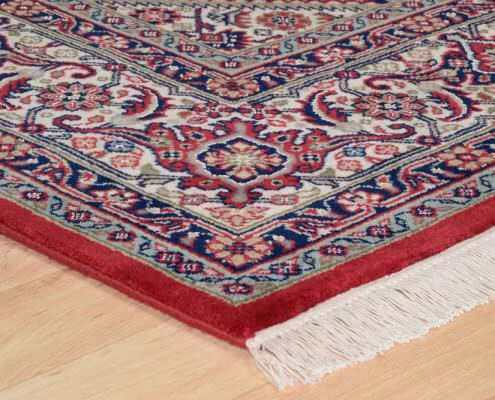 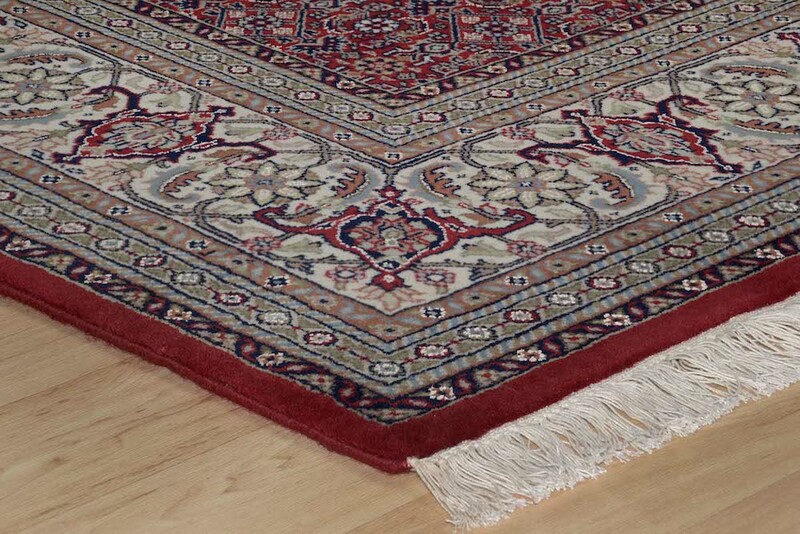 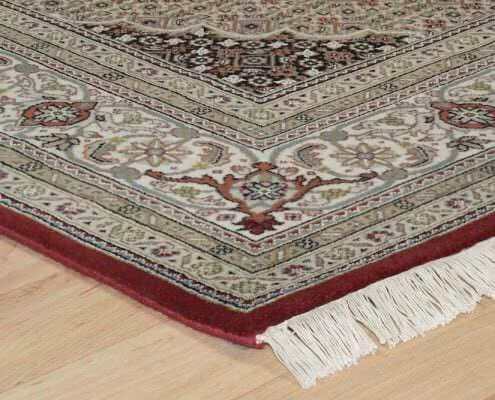 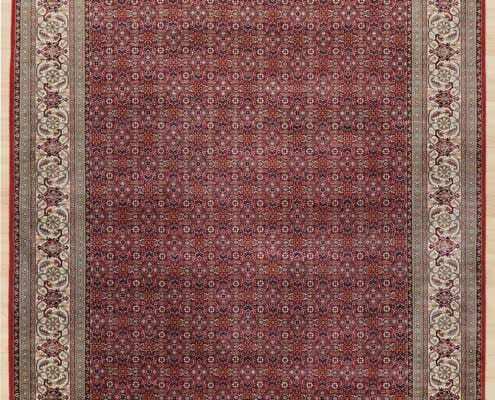 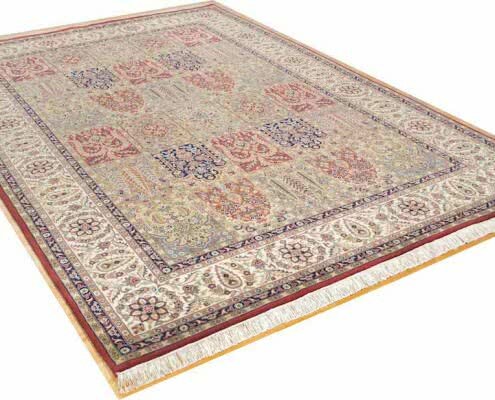 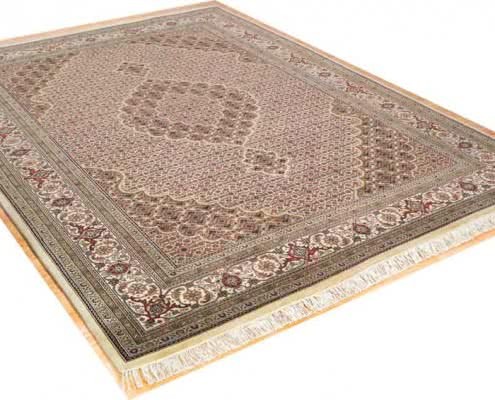 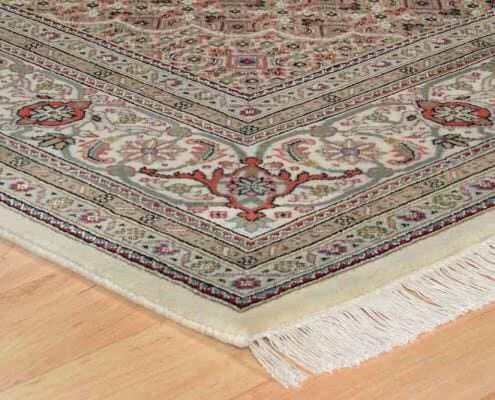 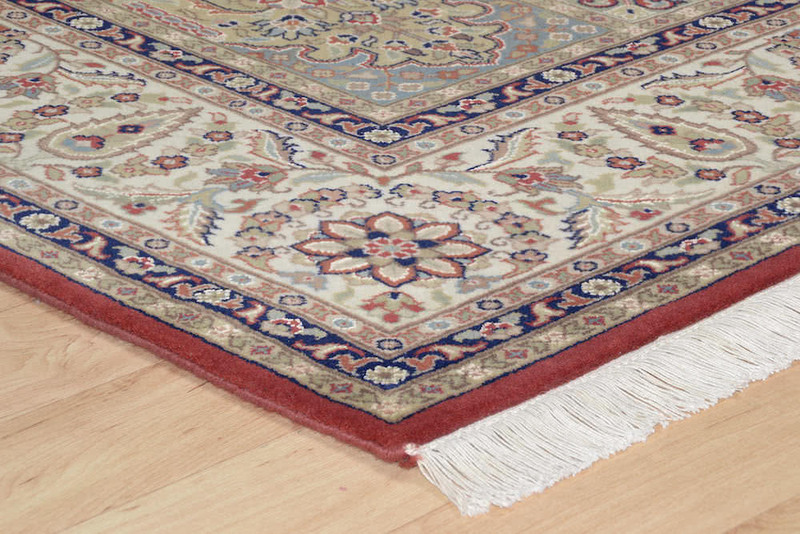 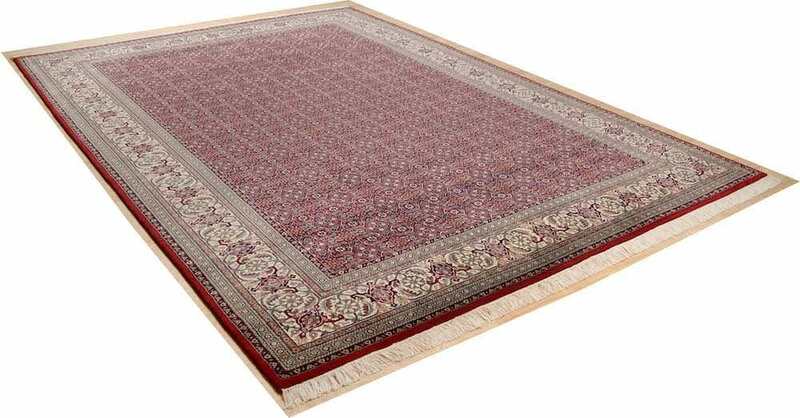 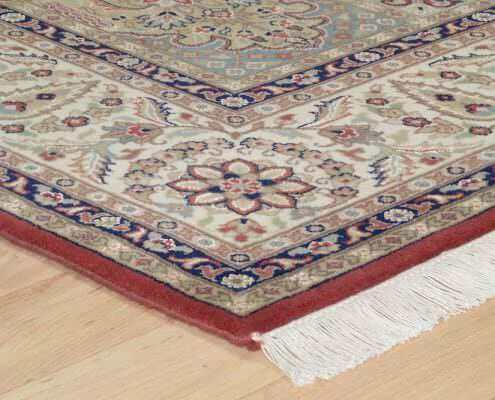 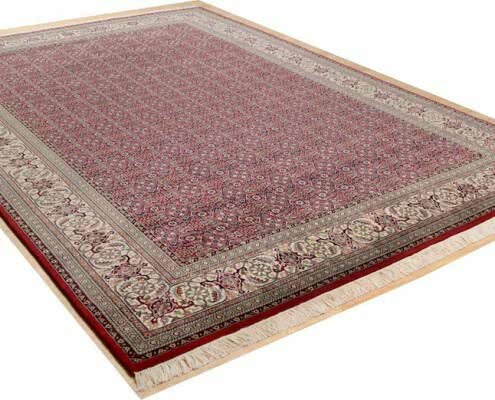 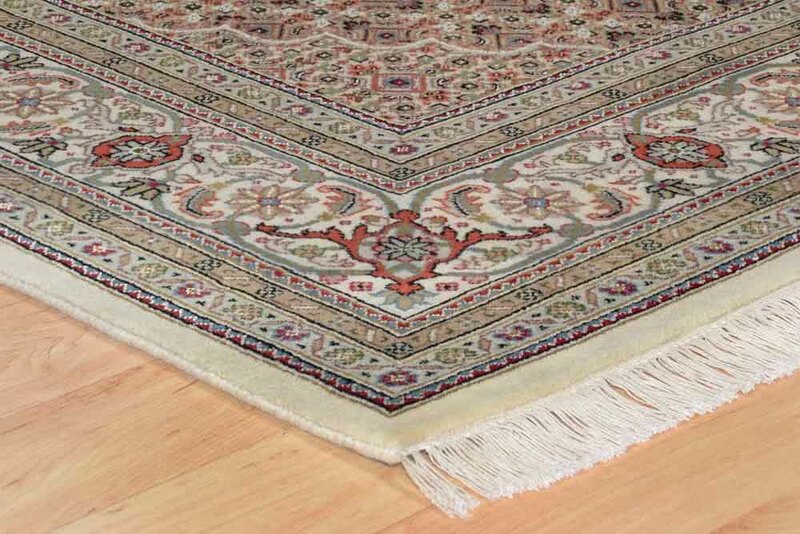 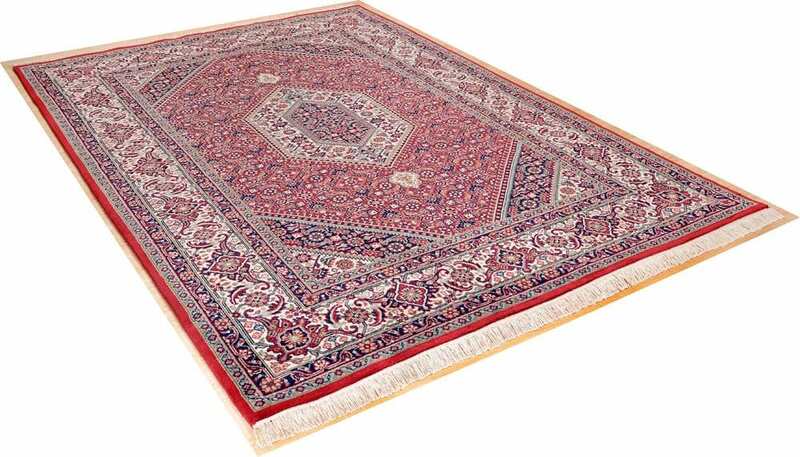 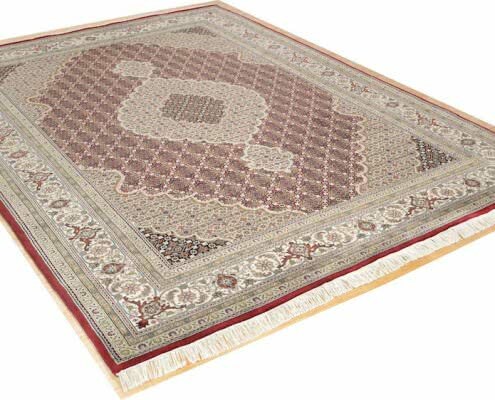 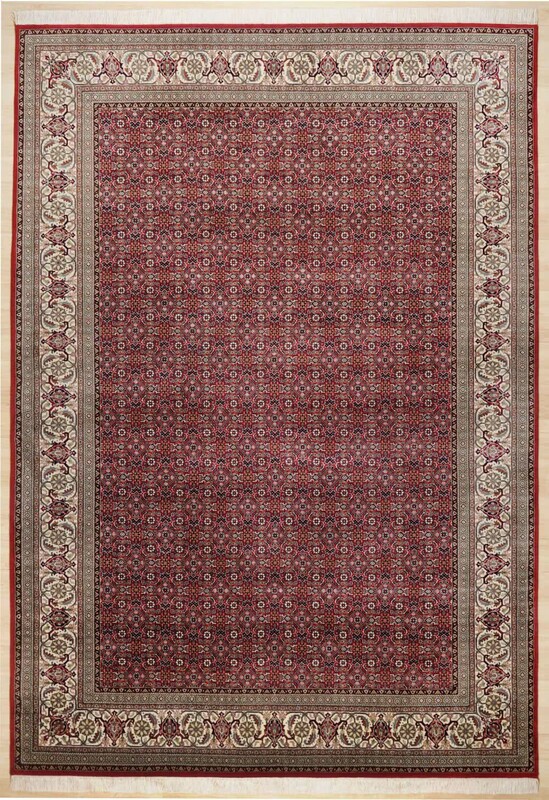 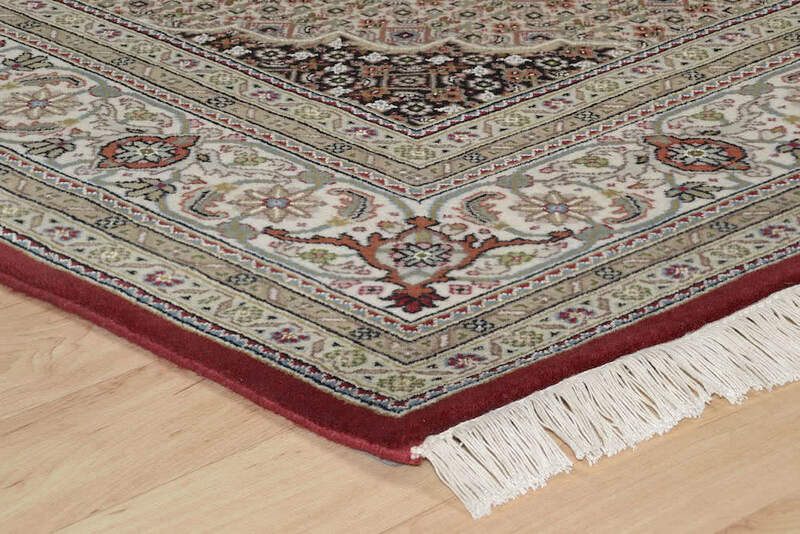 This hand-knotted-carpet is made out of 70 % new wool and 30 % pure silk.